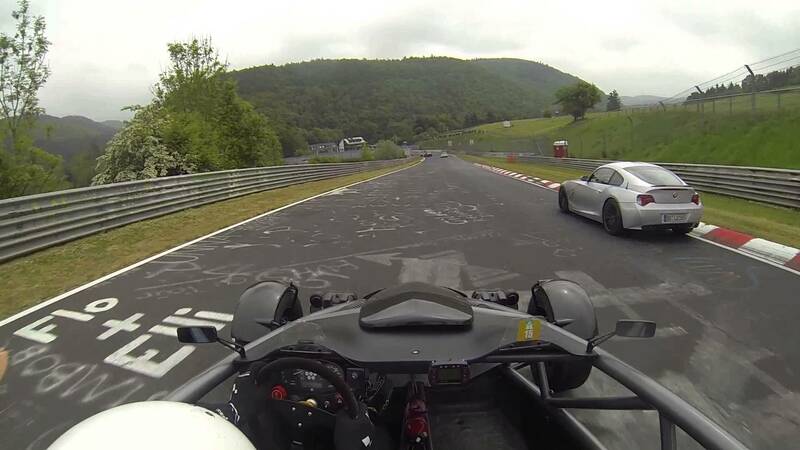 Here’s an amazing video of an epic Nurburgring lap by a 600hp Corvette Z06 and a 310hp Ariel Atom. Drivers pushed each other to the limit, but several times courteously let each other past. The driver of the Atom says he couldn’t shake the ‘Vette from the very beginning, before it had to take the exit at Adenau due to empty gast tank. This video demonstrates the amazing power to weight ratio of Ariel Atom that makes it faster than almost any other sports car on the track.